Julia Baker started her career as a statistician, but then following her passion and love for food, she moved to Paris and enrolled at Le Cordon Bleu. She graduated first in her class and landed in Scottsdale, AZ. 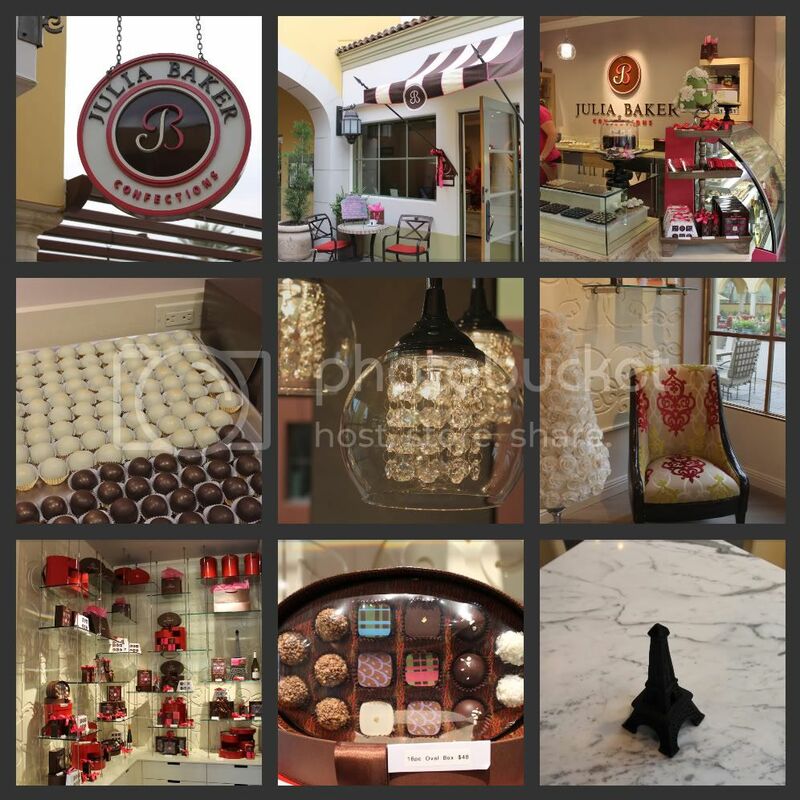 Her shop is amazing and it's located in the new Intercontinental Hotel in Paradise Valley, AZ. If you're ever in the Valley, you must check it out. They said they would host book clubs...wouldn't that be fun? There are so many great books that would be perfect for this setting. And they serve chocolate martinis! this place looks lovely. i've never had a chocolate martini. are they good? your camera is working well i see. i went back to your last post and the details on the flowers are amazing. i think you are going to have a long relationship with this camera. congratulations.